This pouch allows you to always have an extra magazine ready. Fits fixed M16 buttstocks. The outer layer is constructed from beefy 500 weight solution dyed Cordura®, fabric that improves and softens with time and wear. Very durable without being heavy. T3 MILSPEC bar tacked. Reverse stitching is used wherever possible to enhance durability. Minimal use of binding tape. Reliable, secure and highly effective. 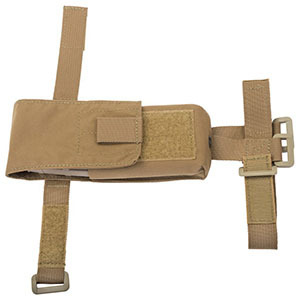 Available in 5 colors including Black, Coyote, Multicam, Desert Digital and Olive Drab.